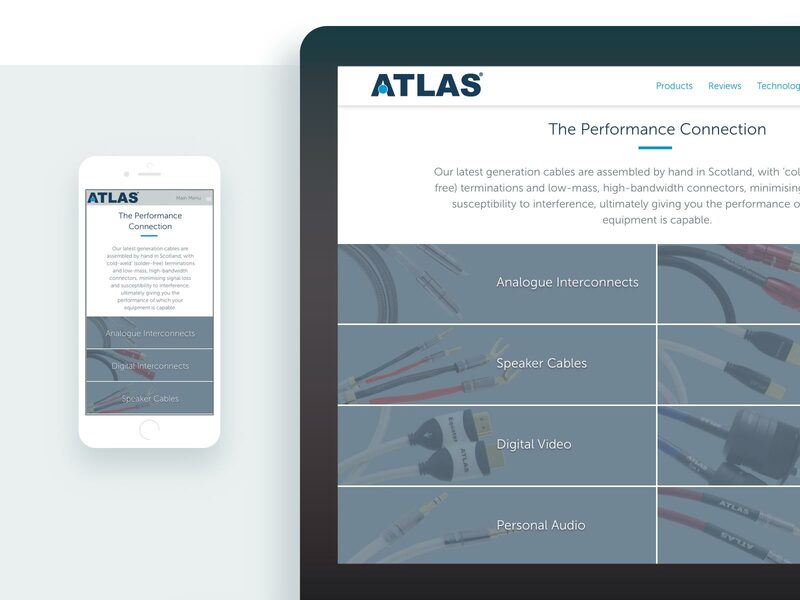 Website for a Scottish-based company manufacturing a multi-award winning range of specialist audio cables. Website design & build/ Technical illustration/ Product packaging/ Print collateral/ Online & print advertising/ Copy-writing. 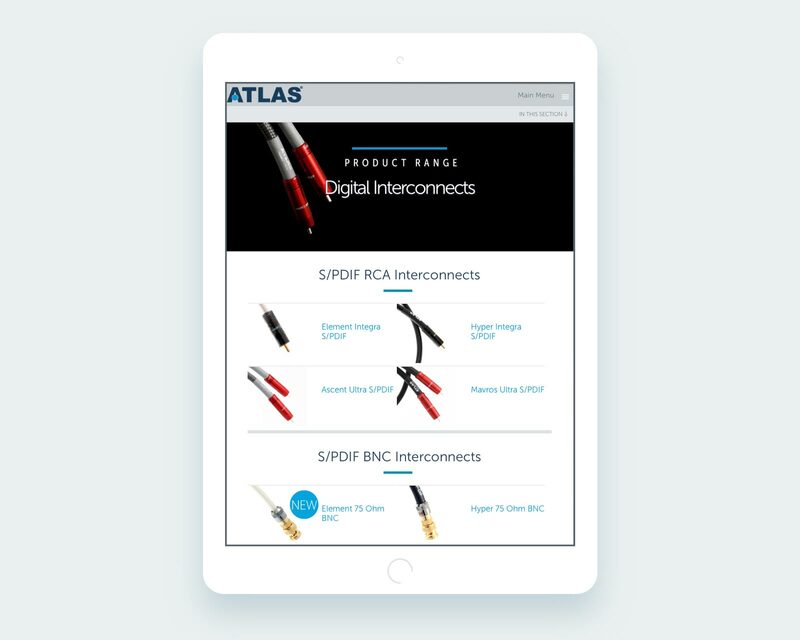 The website is the primary information source for both customers and Atlas’ international distribution network, which now extends to more than 30 countries. 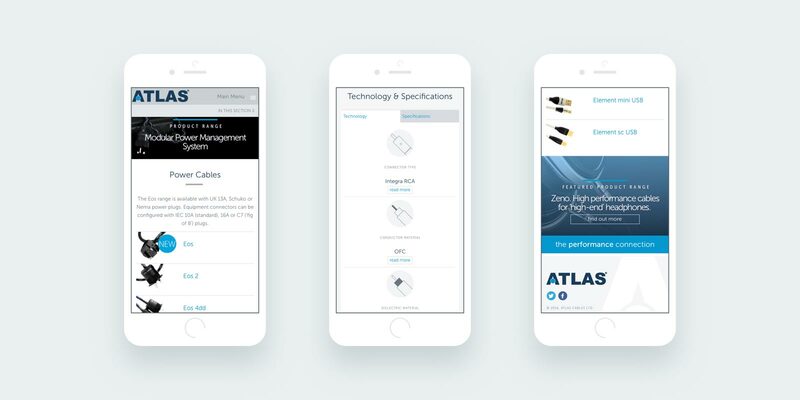 Brief was to design a site which would convey Atlas’ engineering expertise in a manner which would also appeal to non-technical users. If you have many ideas but not much time then Miles has the canny ability to understand your product and brand values, extract your needs and fill in all your gaps. Great designs that last, managed approach to upgrades & updates and an efficient, friendly, business manner.